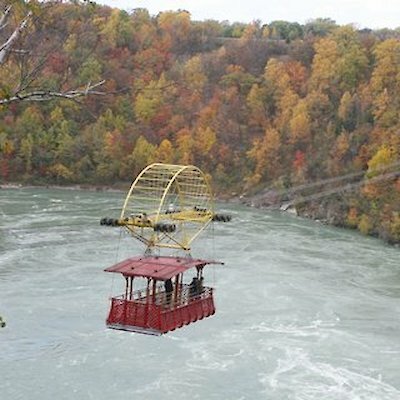 One of Niagara Falls oldest attractions the Niagara Spanish Aero car celebrates its 97th birthday on August 8th. 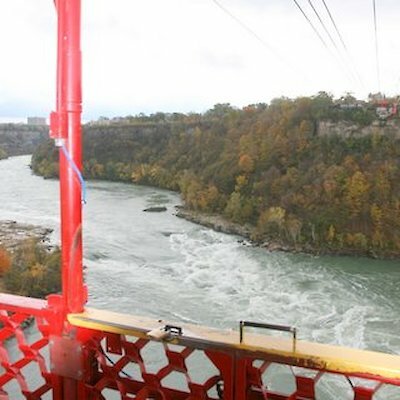 The aerial car ride over the Niagara Whirlpool downriver from the falls remains one of Niagara’s most popular attractions. 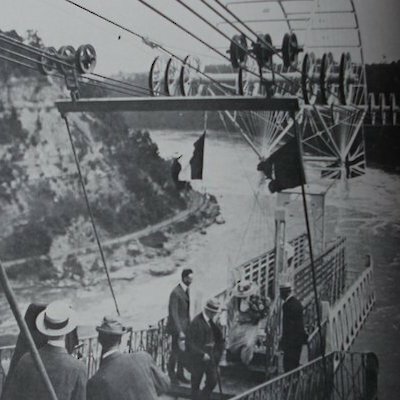 The car, designed by Spanish engineers (hence its name) operates from two Canadian points over the treacherous Niagara Whirlpool. 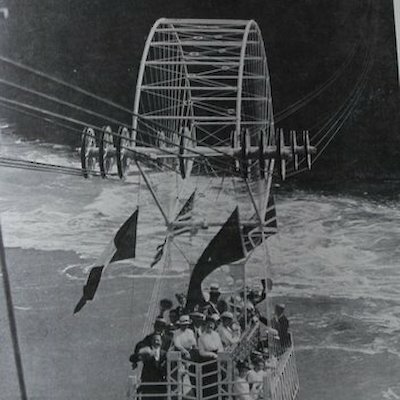 The system is a to” to and fro” operation on six 2.54 (I in.) lock coil track cables. The car has been upgraded several times since it first began and maintains a perfect safety record. Here are a few photos taken on its first day of operation and a few shots I took last fall. 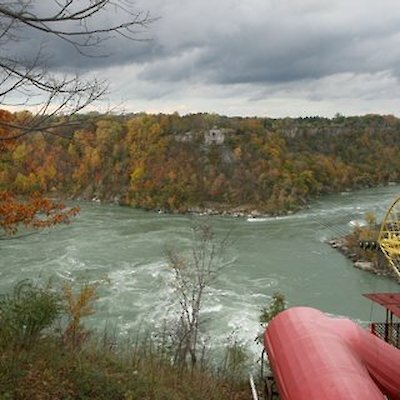 The view from the car of the Niagara Whirlpool and the Niagara River lower Class 5 rapids is always spectacular.